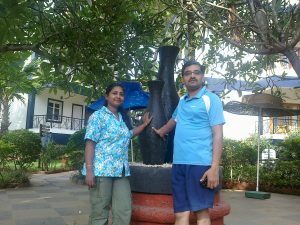 When we were planning a family trip to Goa last year, we kept searching for the right place to stay and finally we arrived at a decision to stay at the Santana Beach Resort at the Candolim Beach looking at the reviews and ratings in Trip Advisor. I have to say that we were not disappointed. We did have a fantastic time! The resort was right on the beach and we could just stroll down to the beach after our lunch and spend as much time, strolling and lazing around at the beach, picking up shells and just being in the water and enjoying the waves to our hearts content. 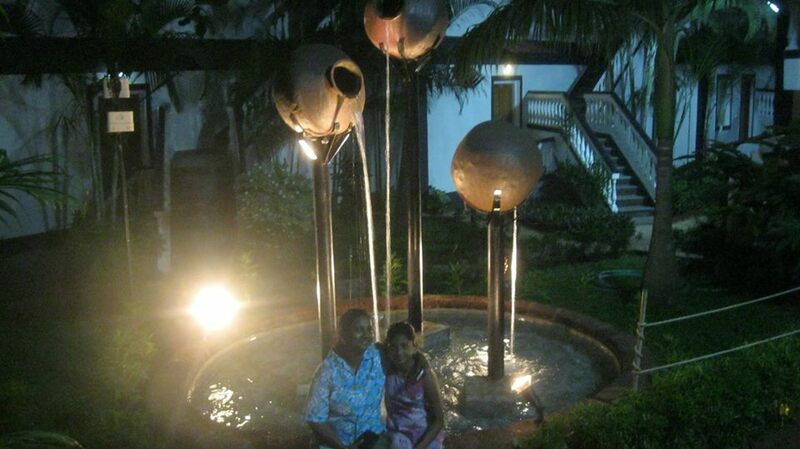 It gave us an opportunity to really enjoy and feel the essence of being in Goa! The service was decent, the breakfast was varied and had a good spread of continental and Indian. We had Goan fish curry at lunch which tasted good. The rooms were clean and bathrooms tidy with clean towels when we checked in. We were lucky to get a room with a kitchen attached, though we did not use it as we were out most of the time. 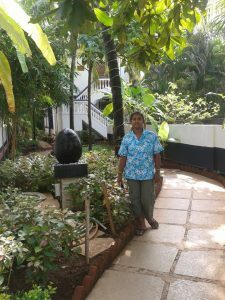 It has a separate swimming pool for adults and children with beautiful lawns, properly trimmed and maintained with lots of coconut trees and other plants. It looked beautiful even at night. Another thing that we really liked about this place was that it was really close to Fort Aguada and we could take a tour of the Fort by taking a short walk through the beach. We saw people indulge in para sailing and other evening sports at this beach. It has a great beach shack too. 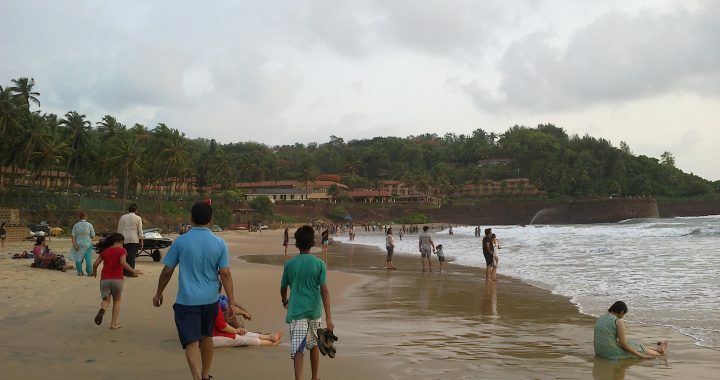 This place is also very close to the famous Kingfisher villa and Vivantaby Taj – Fort Aguada. The price is very decent for the facilities that are on offer. We would definitely like to go back and stay there once more if we get a chance!! We can take a taxi either from the Goa airport located at Dabolim which is 46 km from Fort Aguada or any of the two Railway Stations – Margao and Vasco Da Gama. Posted in Goa and tagged Beach, Fort, Goa, Heritage, Holidays, india, Picnic, Resort, retreat, Sand, Sea, Sight-Seeing, tourist destination, Travel, vacation.